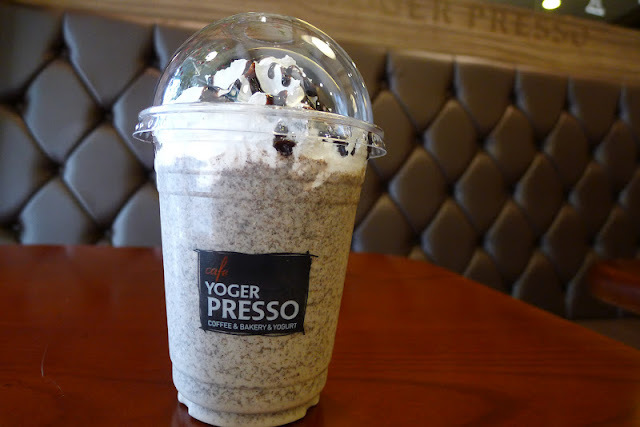 Yoger Presso isn't exactly a very special cafe but i couldn't resist getting a cup of my favourite Cookie and Cream Yopucino. It tastes a little like cookies and cream milkshake but it has the icy texture much like that of the smoothies i have drunk. I am a big fan of anything cookies and cream so i really like this drink. I have no idea whether there is any caffeine in this drink but i can't seem to taste it.